No one deserves appreciation more during the holiday season than your family! Create something special for your holiday tree by creating Personalized Christmas Ornaments that represent how much you mean to each other. Our teddy bear ornament is the perfect decoration for the job. It's festive, adorable, and timeless. This hand-painted ornament is made of resin and measures 3.5" high. Every one includes a ribbon loop. Personalize with family name and year. Please choose your number of family members for the correct numbers of bears. This is one of a selection of family Christmas ornaments that we offer for your tree! ***We're sorry, 2 and 5 bears are no longer available. This was a Christmas gift, didn't see it. I just received this ornament for my daughter and her family. It is absolutely adorable and of great quality. I get them a different ornament every year and they have all been perfect. Very cute and turned out exactly as shown in the picture! Thank you! 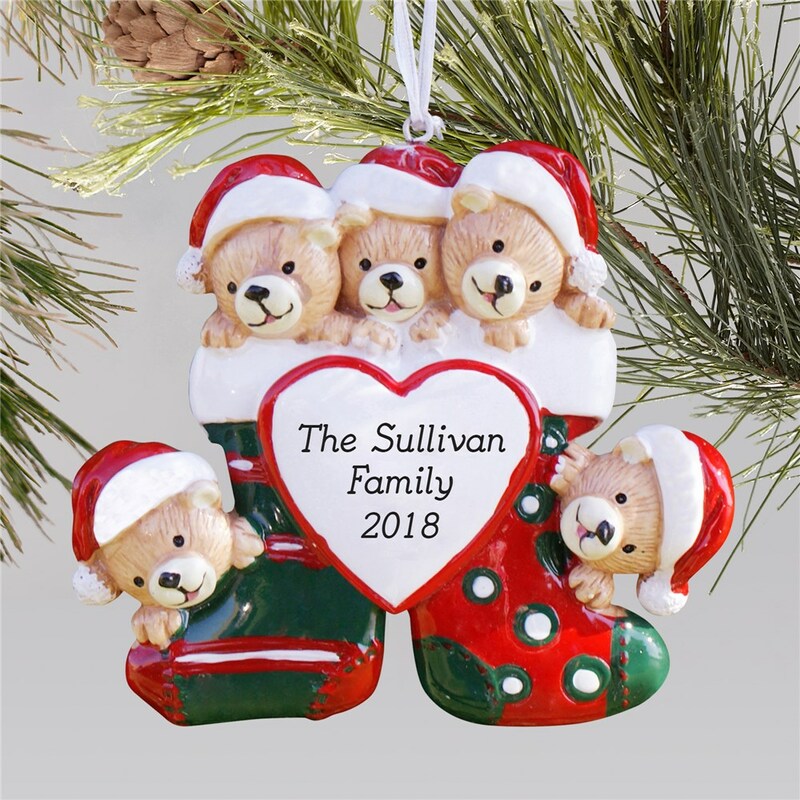 Check out other personalized Christmas ornaments and even other customized family ornaments! GiftsForYouNow has all kinds of personalized Christmas group ornaments for everyone on your shopping list!